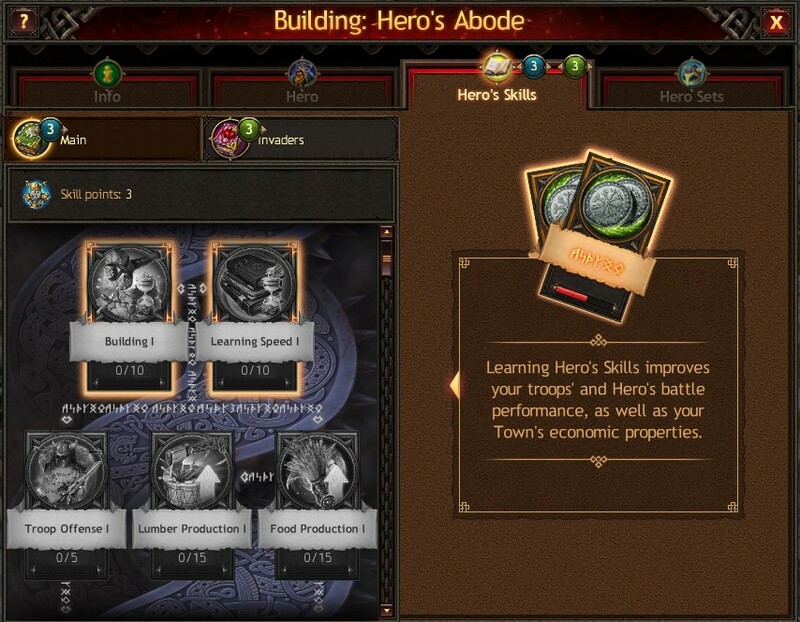 Hero’s Skills provide additional bonuses to a range of key parameters that directly influence the combat stats of troops under the Hero’s command, as well as the economic stats of your Town. When your Hero reaches a new level, they receive Skill points, which are required to upgrade the Hero’s Skills. Upgrading the Hero’s Skills is instant and does not require resources or Gold. Hero’s Skills that are currently available for upgrade have brightly colored icons, and Skills that cannot currently be upgraded have gray icons. You can improve the stats you need by upgrading the corresponding Hero’s Skills that suit your play style. You can reset and redistribute the Hero's Skill points any time. To do this, you need the Second Chance item, which can be purchased in the Bonuses tab of the Item Store. 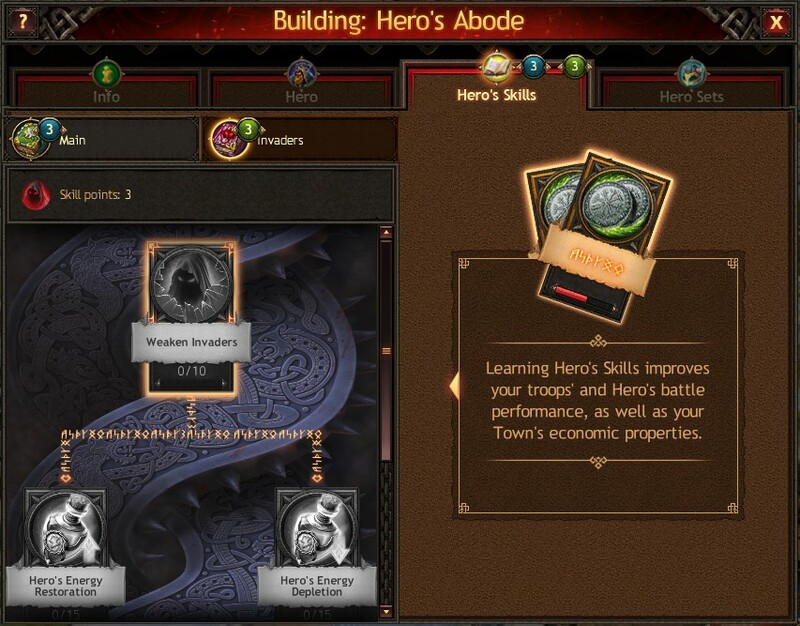 To reset the Hero's Skills, go to the Hero's Abode, select the Hero's Skills tab, and click the "Reset Skills" button. You can also click the Items icon in the lower part of the screen, select the Bonuses category in the My Items tab, and then apply the Second Chance item.